Richard Carney is in the Department of Strategy and Entrepreneurship at the China Europe International Business School (CEIBS). Prior to joining CEIBS, he taught at the Australian National University and at the Nanyang Technological University in Singapore. He was also a Jean Monnet Fellow at the European University Institute in Florence, Italy. Dr. Carney’s teaching and research interests primarily focus on business-government relations. He has published numerous articles in journals such as the Journal of Financial Economics, Business and Politics, and the Review of International Political Economy, in addition to many chapters appearing in edited volumes published by Oxford University Press. He is also the author of two books – Authoritarian Capitalism: Sovereign Wealth Funds and State-Owned Enterprises in East Asia and Beyond (Cambridge University Press, 2018), and Contested Capitalism: The Political Origins of Financial Systems (Routledge, 2009) – and editor of Lessons from the Asian Financial Crisis (Routledge, 2009). 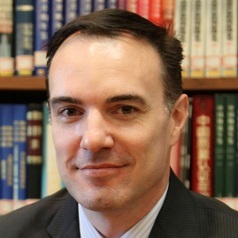 Dr. Carney has been invited to give talks about his research at universities across the world, including INSEAD, Manchester Business School, Peking University, the National University of Singapore, Stanford, and the University of British Columbia. He also has extensive experience speaking to mid- and senior-level executives and government officials from across Asia, the United States, Europe, and Australia.